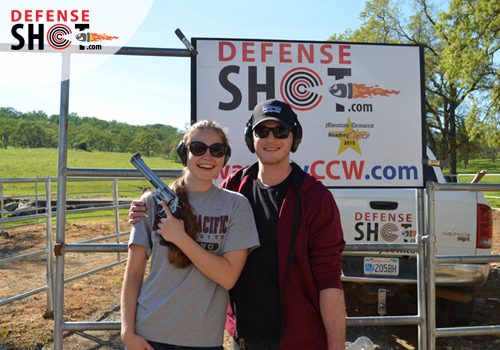 Sacramento County Residents Can Renew Their California Concealed Carry Weapon With DefenseSHOT! Book a Class Today! Book My Renewal Class! Crime is not a respecter of persons or the age of that person. This not anything new to you. In fact, you may have experienced firsthand an attack, or know of someone who did. You are reading what this class information is about because you do not want to be a victim again, or ever. Whether you have a CCW permit from somewhere else or new to this, the Sacramento Country CCW Permit Course is designed with you in mind. In the course, you will learn the specific regulations that frame this curriculum. I will have you in the classroom and on the range during this 2-day course. Lecture time is important, but becoming familiar with shooting is imperative. To take the class you must be a resident of Sacramento County. What is amazing is that this is the perfect time to obtain your CCW certification. I will ensure that you understand the safe and effective way to carry a concealed weapon. There is more to a firearm than simply possessing it. My class will make sure you are totally comfortable with carrying and using the weapon if the need were to arise. Therefore, you need to put serious consideration into selecting to take this class offered by DefenseSHOT. The Sacramento County CCW Permit Course is not just a firearms training course. I have developed a curriculum that provides you with the information and ability to be CCW compliant. Sacramento County has opened the ability to seek after your CCW certification. Not all counties in California are doing this. Because your county has an open ability to be certified and carry, training is required. In the class room, we go over laws that apply for this CCW certification. 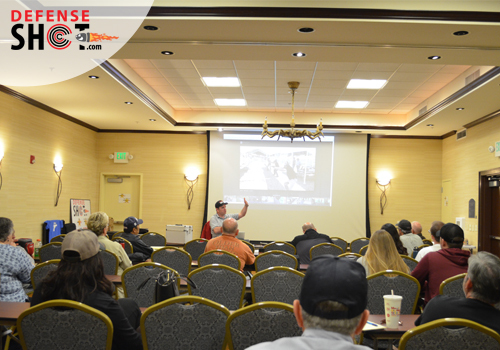 The class time is where I go over all regulations you need to know in handling your firearm. My class has been approved by the Sacramento County Sheriff’s Department. As such, you will gain real world instruction. I could have you simply read a book but that does not educate you on how to be safe in handling your firearm. You will come to know your weapon as an extension of you. For a first-time shooter, firing a live gun can be intimidating. I do not want you to leave the class with that mindset. My desire and conviction are that you will understand and appreciate the weapon you are looking to carry. This pound and half of metal has one purpose. To render the bad guy incapable of harming you or someone else. In this course, you gain personal and practical benefits. I will be focused, but laid-back in teaching you the basics and the rules that apply to your CCW certification. The handgun you carry will be your friend. Not only will you depend on your firearm, you will know its makeup inside and out. Confidence in knowing the rules that go with a CCW. There are times you can use your weapon and times you cannot. Knowing the difference is key. Discipline in being prepared. The scum out there does not follow rules of engagement, so you must be ready to meet the potential threat. After my course, you will. The knowledge you can make a difference in keeping yourself and someone else safe. Knowledge is power. The right kind of power. You will know to stay on target. I pass you only when I KNOW you are proficient. Renewing Your Weapons Permit Is Easy. How Can DefenseSHOT Be Of Service? As I have mentioned before this class is designed to make you prepared to gain your Sacramento CCW permit. I teach the course personally so that you gain everything that is important. 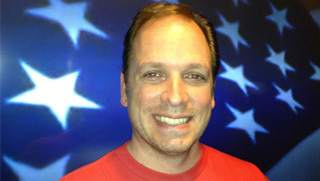 I will work with you in the classroom and at the firing range. Since my class is approved by law enforcement, you will learn only the need-to-know information and not extra fluff. Finally, you will enjoy the course. We have fun in the process and maintain a disciplined curriculum. DefenseShot is different because we focus on the pertinent. I have the background and credentials that many other CCW training centers do not. Book Your Sacramento County CCW Renewal Class Today! 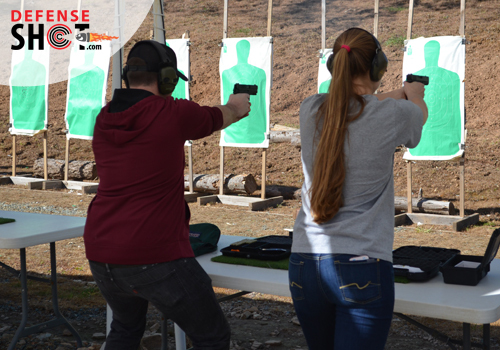 There is no better time to sign-up for your CCW certification training for Sacramento. Our costs are competitive and the classroom/firing range time is top-notch. The criminal element is alive and well. Don’t let them take advantage of you and put you in harm’s way. Make the decision to sign-up and go after your Sacramento County CCW now. Click on the button below and get started. Classes fill up quickly. Call us at (530) 206-6377 or contact us if you have any questions! I take pride in personally teaching you this course. It does you no good to have someone that simply lectures you. Yes, I do take this class seriously, but I also approach it with an easy-going manner. You will have fun as I try to make the class time fun. I spent time as a driving instructor and that can be a hair-raising experience. (Yes, all my students lived.) This means I can work under potentially tense situations. I know how to work one-on-one with people and provide real world knowledge and tactics. Patience is a quality I adhere to because each shooter is different. Here are a few of my credentials.I was a Peace Officer for 17 years. The criminals are real and I know how to read a “suspicious” moment or posture. This is something I will pass onto you. I was a Peace Officer for 17 years. The criminals are real and I know how to read a “hinky” moment or posture. This is something I will pass onto you.NRA certified. What this means to you is I know the firing range etiquette and safe practices. While on the range you will be kept safe, as shooter and observer. NRA certified. What this means to you is I know the firing range etiquette and safe practices. While on the range you will be kept safe, as shooter and observer.California DOJ certified. This is like NRA rating, just means I know California regulations and practices. Life experience with firearms. While I possess the ability to teach in a classroom, you will learn more when on the range. My time around guns has equipped me with the knowledge and judgment to pass onto you in proper gun handling. Turn in our application which starts your background check. Take our DefenseSHOT Sacramento CCW class. Wait for the Sheriff’s office to check your background and call you back for an oral interview. Be honest. If you stole a pack of bubble gum when you were a kid or you were in a scuffle and the cops showed up, even though you think it’s not on your record it probably is. If you have ever been in handcuffs, mention it. If you mention it you’ll be fine, if you fail to mention it, that could cause a problem. They aren’t going to deny you a CCW over a speeding ticket unless you were going 100 mph through a school zone on the sidewalk or something. Keep in mind they are looking for patterns of violence or recklessness. Even in those cases, the severity of the incident and how long ago it took place are taken into account. Feel free to contact me privately if you like if you have a specific concern about your history. I’ll be happy to help. If you have had tickets in the past five years, mention them. You don’t have to dig them up and give the exact date. You could write something like “I had a ticket in approximately 2015 in the Bay Area”. that would be fine. A ticket doesn’t mean you’re a bad person. It means you drive a car. Don’t be nervous about mentioning it. When you apply online – before our class – you’ll be asked to create an account. They’ll ask you to upload pictures of your current power bill or other documents that prove you live in Sacramento County. 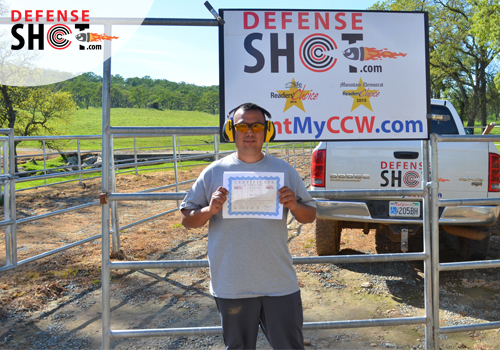 Creating an account will allow you to sign back in later and add things like pictures of your DefenseSHOT training certification as you go through the background check process. After a few months, the Sacramento County Sheriff’s Office will call you back in for a quick oral interview. There’s nothing to be anxious about. By this time you will have taken our DefenseSHOT CCW class. This will make your interview easy because you will have the best training and you’ll know what you are talking about. Keep in mind, in all the years we have been doing this we have never had a student denied. Also, when they see you received your training through DefenseSHOT they know you have received top-notch training. I have trained many of their staff. And their staff who have taken our class refer their friends and other staff (unofficially). They are familiar with us and clearly are pleased with our DefenseSHOT certifications. In your efforts to become a responsible California CCW License holder in Sacramento County, It is very important that you understand the local laws. These laws, like so many other aspects of government, are subject to modification based on changes in legislation at the local, state, and federal levels. I have provided a link below specific to the county and state laws for Firearms and ammunition.